For members of the Boston Crusaders, 2015 is building to be a very special season. Founded in 1940, the third-oldest junior drum and bugle corps in the nation is celebrating its 75th anniversary this summer. To add to the excitement, corps members are gearing up for an anniversary celebration during the DCI Tour event at Gillette Stadium on Thursday, July 2, before performing with the Boston Pops on Independence Day during the city's annual Fireworks Spectacular. The East Coast Classic on Thursday at Gillette Stadium will be the first time that the Drum Corps International Tour has returned to Foxboro since the DCI World Championships were held at the venue a decade ago. The event will feature performances by a huge lineup of 11 corps including a rare early-July East Coast appearance by the Blue Devils who flew in from California to take part in this special celebration. On Friday, the Boston Crusaders will take part in an open dress rehearsal with the Boston Pops before Saturday's Independence Day festivities and a performance at the Boston Pops Fireworks Spectacular. 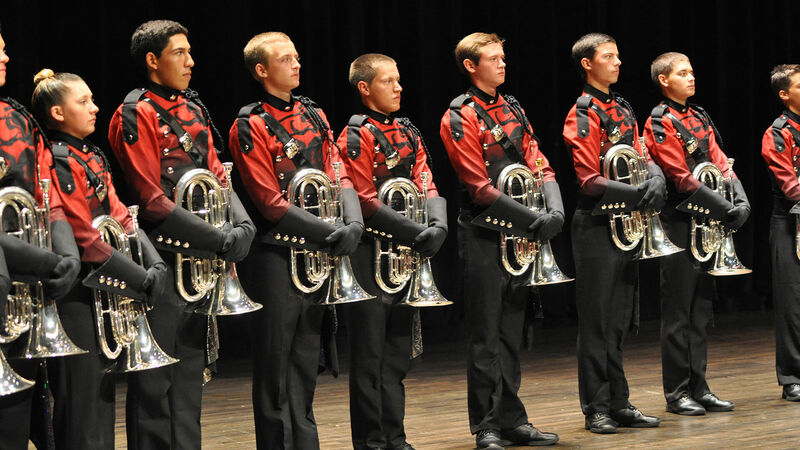 The Boston Crusaders will accompany the orchestra in front of a half-million people on the banks of the Charles River which can be seen on television and on the Internet. “It’s incredible to have the chance to play with such elite musicians like they are, in the heart of where we’re from, in Boston,” said Boston Crusaders member Aidan Williams in an interview with CBS. The corps will join in the playing of the "1812 Overture" and "Stars and Stripes Forever." Chase Tucker, one of the drum majors for the Boston Crusaders, is looking forward to seeing Maestro Keith Lockhart in action. Becoming the third conductor of the Boston Pops in 1995, Lockhart has worked with a wide array of established artists from the entertainment world. “He’s an amazing conductor, and it’ll be really cool just to be in the same area as him and to get to see him at his craft,” Tucker said. The excitement doesn’t end there. Following the Fourth of July performance, members of the Boston Crusaders and the Blue Devils will be performing with the Boston Pops brass and percussion sections at the renowned Tanglewood concert venue for the Tanglewood Brass Spectacular! on Monday, July 6. On this trip out to the East Coast, the Blue Devils will also make appearances in Massachusetts, Rhode Island and New Jersey. This is the earliest the corps has made the transition from the West Coast since 2002. After winding down their anniversary celebrations, the Boston Crusaders will make their way to Minneapolis to continue their summer tour at the DCI Minnesota event on Saturday, July 11.